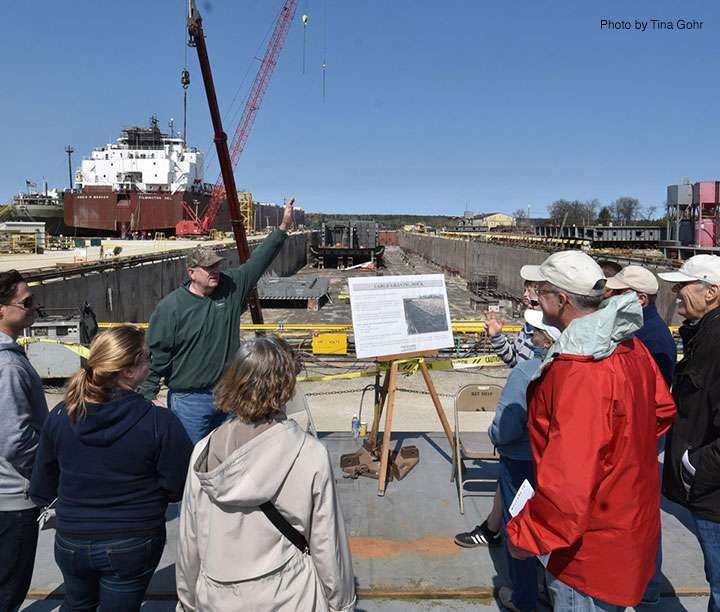 Have you ever wondered what Sturgeon Bay’s working waterfront looks like from the inside? Get the inside scoop from shipyard specialists during tours at Fincantieri Bay Shipbuilding and Centerpointe Yacht Services. This is an opportunity you do not want to miss because the Shipyard Tours happen only one day of the year! Grab the family and join the city as we tour the Great Lake Fleet and how it works. Tour Activities also include: Tour of the Coast Guard Cutter, the retired USCG Utility Boat and the Fred A. Busse and see the Selvick Marine Towing Tugboats. Bring your ticket to the DC Maritime Museum for 50% off admission on May 4! New in 2019, purchase your tour ticket online by clicking HERE. Pre-sale tickets through April 26: Adult $15, Youth (11-17) $7. After April 26 price increases to $20 per Adult. Due to the time constraints of a one-day event, only a limited number of tickets will be available for sale the day of the event.